I have an exciting giveaway contest!! Y'all know I'm not big on give aways and rarely do them but the people at American Express talked to me about doing something and I thought it would be fun AND someone will be very happy if they win!!! With the costs of food, gas and clothing rising rapidly, the new American Express Blue Cash® Cards provide a simple way for shoppers to put cash back in their pockets as they shop for every day necessities. With these new Blue Cash Cards, there are no spend minimums, cash back caps, ongoing enrollments or rotating categories of cash back benefits. The benefits don’t change, as they do with some other cards. Both Cards immediately offer cash back in categories in which prices are particularly under pressure: gas, supermarket purchases and department stores. For Blue Cash Everyday, it’s a simple as 3%-2%-1% (3% cash back at supermarkets, 2% cash back at department stores and gas stations, and 1% on all other eligible purchases) with no annual fee. SOOOOOOOOOOOOOOOO in honor of the 6% cash back on groceries..............I am going to be doing a contest looking for the best SIX INGREDIENT (or less) main dish! I'm posting my favorite 6 ingredient meal and then in the comments - I want you to leave your 6 ingredient recipe and I'm going to pick the one that sounds the very best and that person is going to win ...............a $600 American Express gift card!!!! Couldn't you use that to buy groceries? Or anything????? Leave a comment with your favorite 6 ingredient main dish. Make sure you leave your email address as well! The winner will be picked on Monday, June 6th! · To learn more about the Blue Cash Preferred and Blue Cash Everyday cards, visit www.americanexpress.com/bluecashcards . I am not being compensated by American Express or OPR for this in any way - just thought it would be fun for my readers! 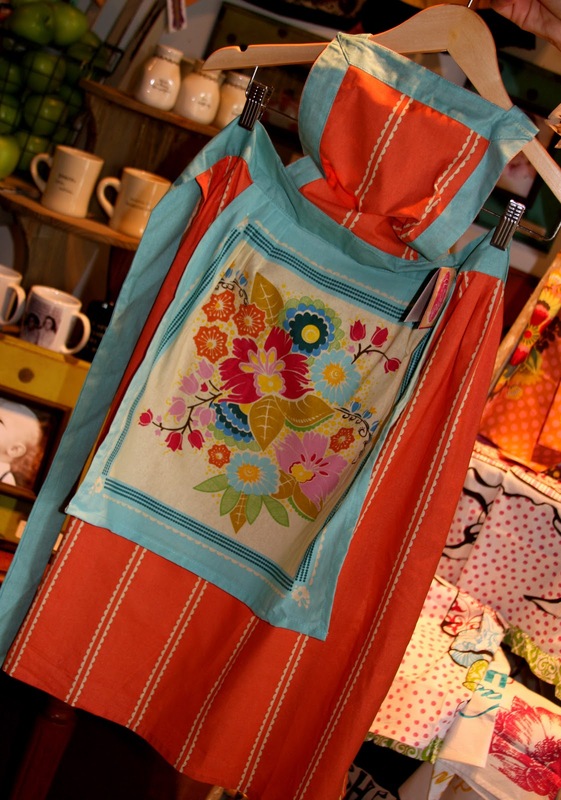 I'm giving away the CUTEST apron from my favorite store - Riffraff. This store is the cutest, eclectic shop in NWA. BUT the great thing is they have a facebook page where they regularly list pictures and you can actually buy that way!! They ship all clothes, accessories and jewelry for $6. Leave me a comment and let me know you'd like the apron. I will draw a winner on Friday! AND for an extra chance - visit their FB page: https://www.facebook.com/RiffraffFayetteville and "like" it and let me know!!!! How cute are y'all going to look cooking in this apron????? I'm sorry - ya'll - there are a lot of reasons I don't do many giveaways anymore..............and one of the reasons is because I can never remember to draw winners and I'm not good at keeping up with winners. Here are winners of Beth Moore tickets! Mrs Coombs and Meg O. I have emailed you both!!! Congrats! 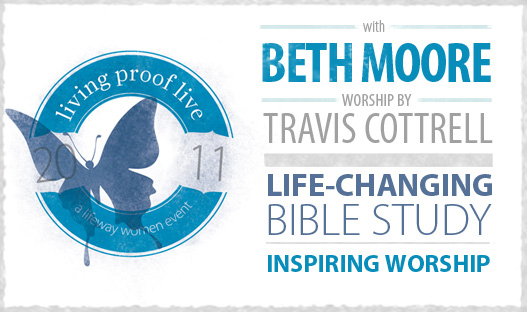 All of you girls who live in ARKANSAS or any surrounding states - Do you know Beth Moore will be in Little Rock on April 15-16? (And y'all know Beth is an Arkansas girl, right???? Raised in Arkadelphia (home of OBU!!!)) The details are HERE! If you have never been to a Beth Moore event or maybe never even a women's conference...........................I URGE you to go! Invite a few friends and have a girl's weekend! I promise it will be one of the best weekends of your life! It's worth the effort of having your husband take the kids and planning ahead! Beth is an AMAZING speaker and she always seems to have a direct message from God. She has blessed my life so much in the last few years and has helped me grow in my faith. I would be there in a new york minute if I wasn't about to have a baby! But I hope that SO MANY of you will sign up and go! You will thank me!!! ALSO - I am giving away TWO tickets!!! I will draw the winner NEXT Friday (March 25th)!!! Leave me a comment to enter!!!!! #85 is Ellis at passmorefun.blogspot.com and she won the cup! My friend Stephanie has a cute website where she makes all kinds of personalized things! She has these cute Easter Pails right now that would be perfect for your kids or grand kids or nieces or nephews! 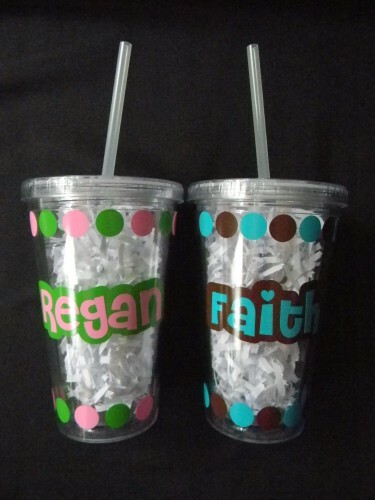 She also has several designs of personalized carnival cups! 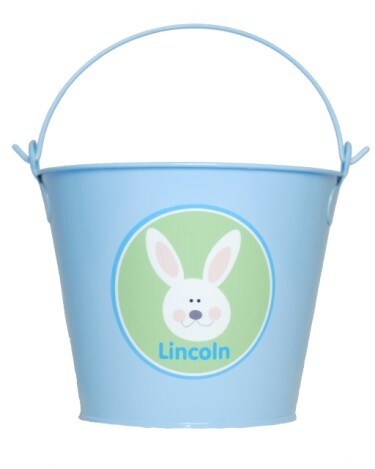 I'm giving away one Easter pail and one carnival cup (two separate winners) on Friday afternoon. Just leave me a comment and let me know which one you would like or if you would like to win either!